What is the colour of fear? How does it look? How does it smell? On her Facebook wall, one of the inhabitants of a Kibbutz near Gaza wrote: “For those who have never felt how the body talks out of fear, I will say: it’s quite simple- the stomach felt like an abyss of pain, nonphysical, just endless darkness and coldness that resides in me. My heartbeat is fast, my breath is weak, my body smells of fear… I was standing at the door of my son’s kindergarten, overwhelmed by the weight that I carry inside myself without even paying attention, it is because of the stress, knowing something will happen but not knowing when and how we will be attacked”. For 14 years, the people of the southern border of Israel have been carrying this burden, the burden of anxiety. They are attacked on a daily basis by rockets from Gaza, having only 15 seconds to find shelter and protect their loved ones; they are threatened by attack tunnels ready to be used by Hamas terrorists aiming to come into their homes in order to kidnap and murder. For the past year, since March 20 2018, the ongoing anguish grew bigger as every weekend, mobs of thousands of violent people directed by Hamas approach the border fence between Israel and Gaza, trying to destroy it and penetrate into the land of Israel, to attack, to destroy, to spread fear. These weekly demonstrations along the border fence between Gaza and Israel are neither peaceful nor spontaneous; it is an orchestrated campaign of violence and terror. These riots are yet a tool in the toolbox of the Islamist regime in Gaza, a means in Hamas’s ongoing aggression towards Israel. They are using the mobs as a human assault weapon to storm the border and to attack civilians. Protest is a very basic human need; it comes from the heart, an urge to express one’s feelings, one’s resentment. Protest can be the only tool of the despairing, and therefore the right of protest is respected by Israel, which sees the need to protest is a genuine feeling. However, a paid protest has nothing to do with resentment or with feelings of despair- it is the outcome of exploitation. Hamas exploits its own population by funding the violent riots and it is rewarding those who get hurt. Hamas pays protestors and their families $200 for moderate injuries, $500 for serious injuries and $3000 in the event of death – can you believe how low is the value of human life for a terrorist organisation? 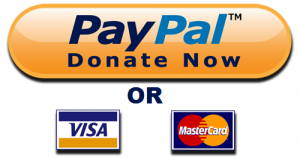 Could nickels and dimes compensate for a life of suffering? 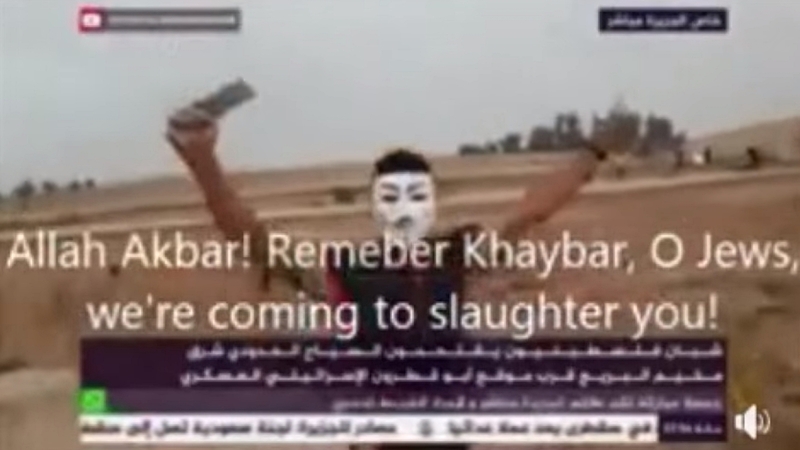 In the so-called “peaceful demonstrations”, Hamas makes sure that terrorists, sometimes armed, mix with the crowds, incite the demonstrators and instigate attacks along the fence – such as shootings and placing of explosive devices. Women and young children are sent to serve as human shields for terrorists’ activities. It is well known that for the past decade, freedom of expression has been suppressed in Gaza Strip, and no public action can be taken without Hamas’s consent and support. Recent real peaceful demonstrations by Gazans, who protested last week against Hamas oppression were brutally crushed by the organisation’s forces. The civilians in Gaza are victims of their own regime who holds them hostage and cynically uses them for its own terrorist activities and goals. In the past year Hamas has launched 1233 rockets into Israel and perpetrated over 2000 attacks, in many cases it was launching these attacks from the heart of Palestinian civilian communities, thus committing a double war crime: using their own civilian communities to attack civilians in Israel and innocents on both sides pay the price of this blind hatred of the Hamas violent campaign. Hamas rockets fired at Israel. 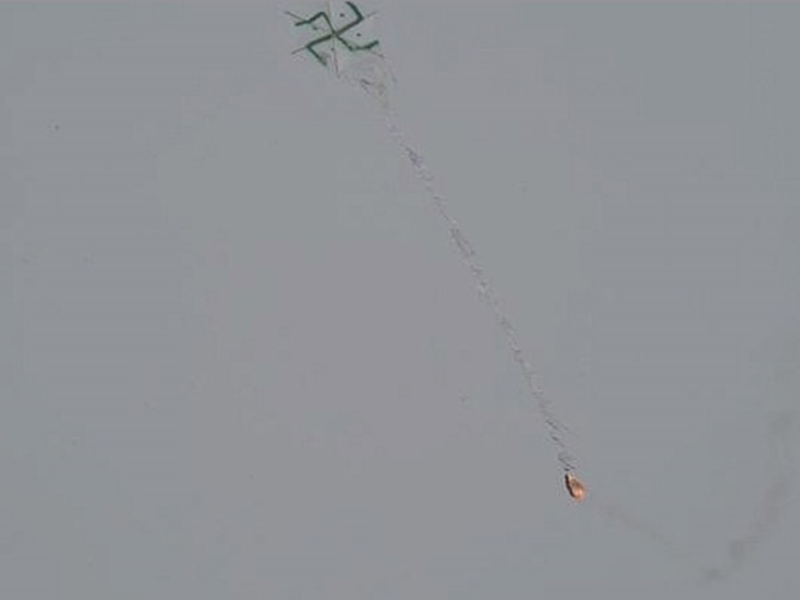 An arson kite launched from Gaza. In this impasse, Israel is exercising its legitimate right to protect its citizens and defend its border. In 2005 Israel completely evacuated the Gaza strip and enabled its citizens to start a new independent national life. This opportunity was shattered to pieces as Hamas violently took over Gaza; the border, that could have become a borderline between two peaceful peoples, became a target for assaults, a gate to fulfill devastating aspirations of a ruthless terrorist organisation. Although a significant number of countries worldwide designated Hamas as a terrorist organisation, paradoxically, some international agencies empower it, while knowing the nature and the ultimate goal of Hamas: the destruction of the State of Israel. Some would claim that the world is tired of the Arab-Israeli conflict and that it is time for peace and reconciliation, Israel would gladly endorse this hope. Unfortunately, Hamas’s violent campaign is not intended to bring peace any closer, but is rather a premeditated provocation meant to fan flames of the conflict and increase tension. It is the role of the international community to restrain Hamas, to embrace the endless efforts made by Israel to improve the humanitarian conditions in Gaza and to recognise Israel’s right to defend its citizens and its borders. 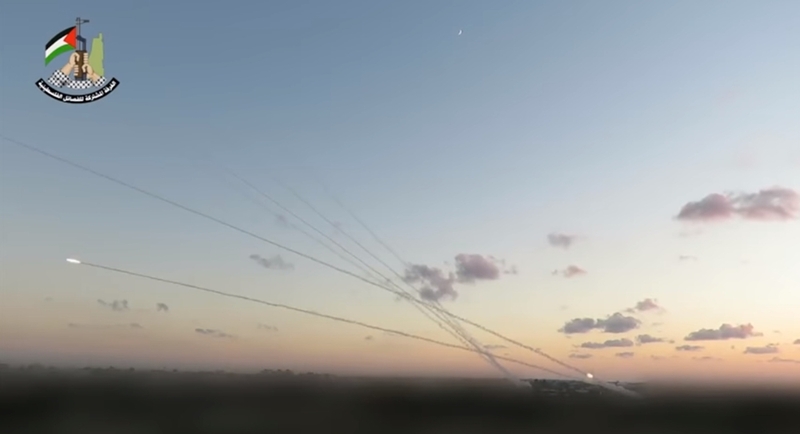 All international calls for “restraint on both sides” have not yet succeeded to cease the rockets and shells fired on innocent civilians, however they contributed indeed to the legitimization of a terrorist organization comparing it to the State of Israel. Too many people living on the border between my country and Gaza, go to sleep at night and wake up in the morning with this endless threat of being attacked, with an unbearable burden of a reality of rockets and assaults that has been continuously going for so many years. Teenagers do not know any other reality. Too many know the colour, the taste and the smell of fear. Next time when you see the pictures of the protest on the border fence, remember the real victims. Next time the international community tries to bash Israel, remember who the aggressor is.